After 8 hours in two very full vans we are officially back in Upland, Indiana! When we made it back onto campus we departed ways into the many different directions of our dorms; it was odd to know that our team wouldn’t be spending the night under one roof anymore. This trip has been more than I could have ever imagined – God has shown himself to all of us in many different amazing ways. Whether it be the sound of birds chirping and hammers on a roof intermingling, or the smiles of the homeowners we were blessed to work with, God’s glory was everywhere! 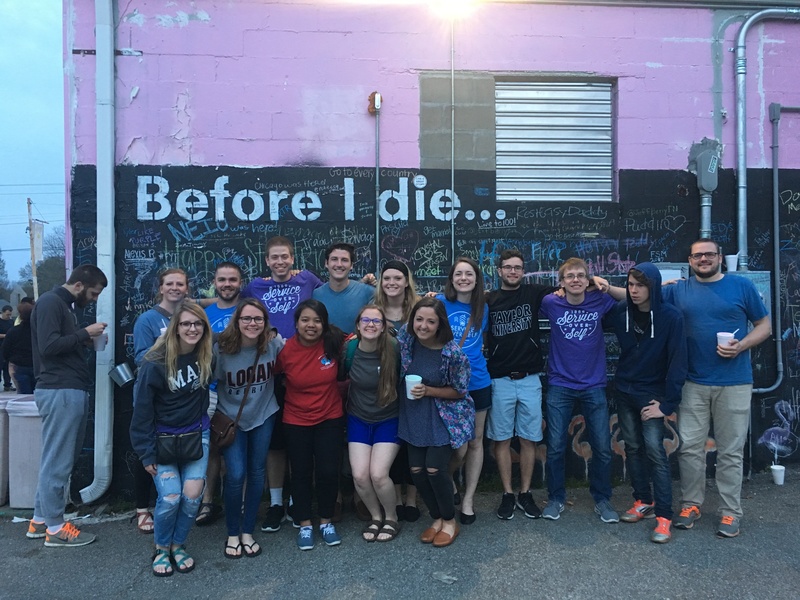 The Lord blessed us with the opportunity to see how he is working in Memphis through organizations such as SOS, Memphis Teaching Residency, or Fellowship Residency. 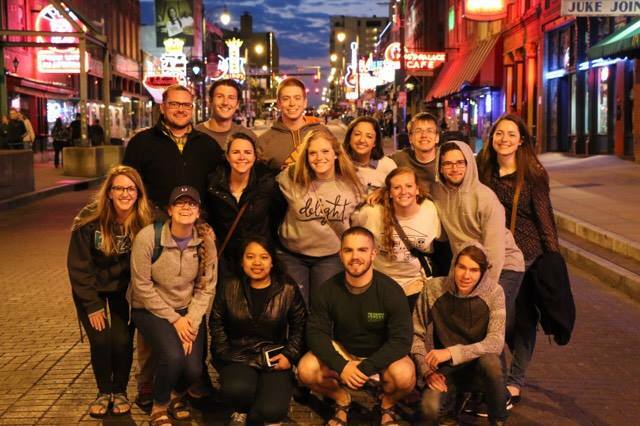 Memphis may be a community that is seen in a negative light, but during our time in the city we were shown again and again that God has not given up on the town. 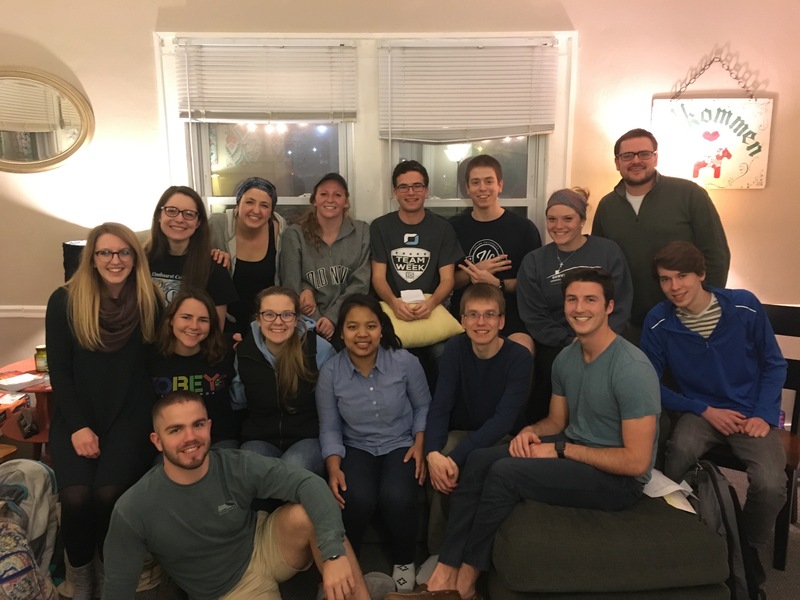 Thank you to everyone who supported our group both financially and prayerfully! This trip was an experience that I will never forget due to the days filled with sweaty work, the evenings filled with worship and fellowship, and the nights filled with laughter. Although we only helped fix one family’s roof this week we were able to portray the love of Christ to all of those around us, and we were able to understand more of what it means to be Christians outside of the Taylor Community. From beginning to end this trip has been a reminder to all of us that God is still doing amazing things throughout our community and throughout the world.